Attacking trees, what's not to love? "Good Gravy" and "aye Carumba" really need resurgence in exclamatory text. Could you please identify the etymology of "Carumba"? Did it derive from early ninja, of the turtle variety? I believe it was invented by one B. Simpson. Ah yes, Mr. Simpson, an undisputed scholar of the English lexicon. Thanks Anonymous--I think the large size adds a lot. 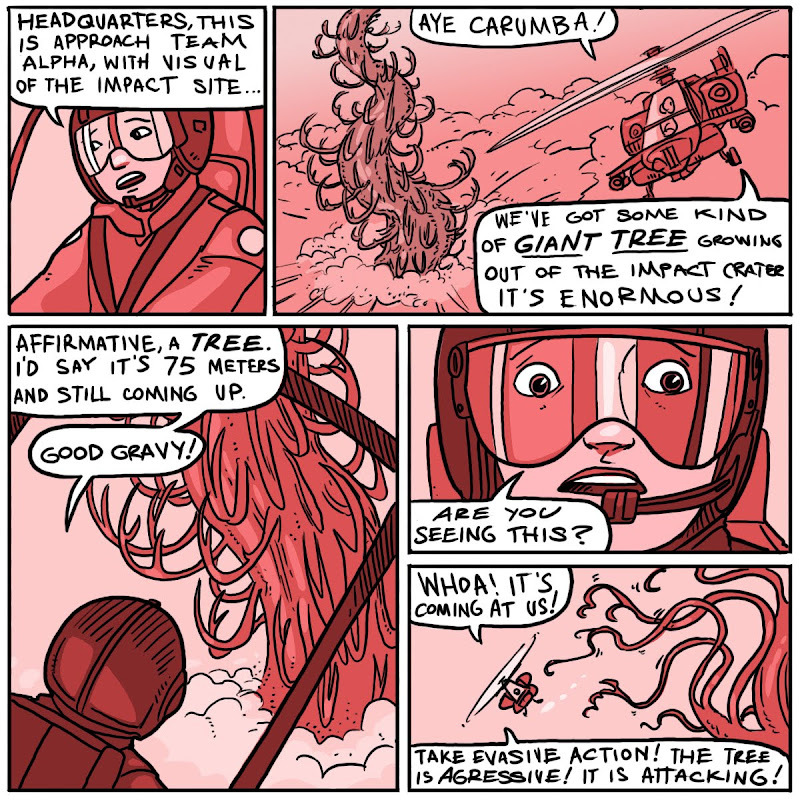 I'm surprised nobody's called "Beanstalk" yet, speaking of Rapunzel--this space tree's pretty similar to several high speed plants from the 'Punzie-verse.